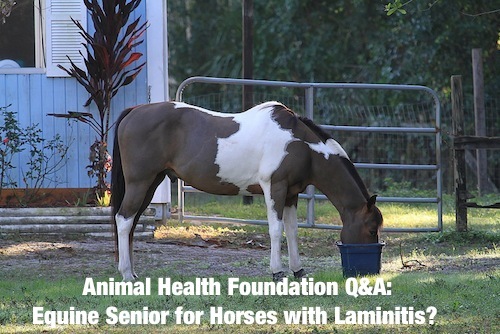 Animal Health Foundation: Laminitis Research : AHF Laminitis Q & A: Should a horse with laminitis be on a “senior” feed? AHF Laminitis Q & A: Should a horse with laminitis be on a “senior” feed? Reader Question: Should Equine Senior (a complete feed) be fed to a horse with laminitis? AHF Answer: The answer to your question regarding “Equine Senior” (a complete feed manufactured by Purina Mills) would depend on the cause of the horse's laminitis. If the laminitis is being caused by elevated insulin levels, such as Equine Metabolic Syndrome (“EMS”), or Cushing's disease, then the dietary levels of carbohydrates becomes an important issue to stop the laminitis. Eating carbohydrates elevates insulin, perpetuating the laminitis. For horses with this common problem, diets that are designed to be lower in carbohydrates than a “Senior” diet would be preferable. Purina has a low-starch (“L/S”) diet that has been designed to have a lower insulin response to the carbohydrates in the diet. A new test called the Oral Sugar Test can be performed on your horse to see what the animals response to eating sugar (carbohydrates) by measuring the insulin level after giving an oral dose of light Karo syrup. 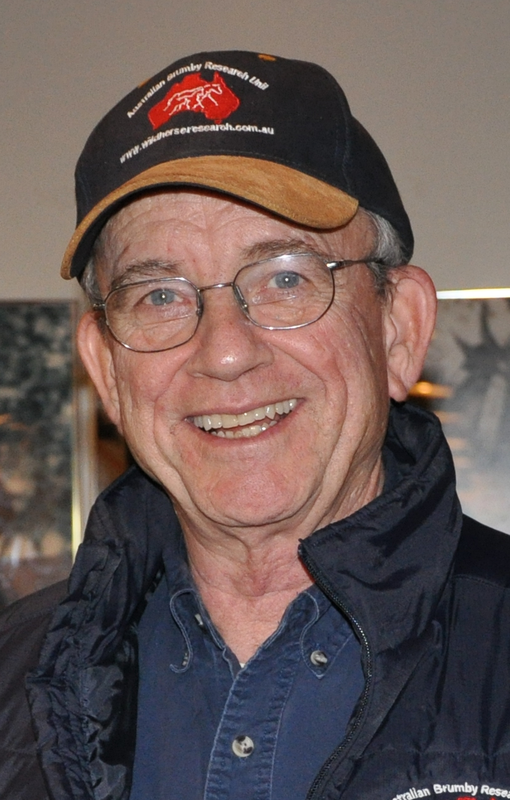 Do you know the cause of your horse’s laminitis? I suggest you watch the Animal Health Foundation’s laminitis video series (one video is embedded above in this article; it explains chronic laminitis). It will help you understand more about how insulin causes laminitis and how to manage the diet. I hope this is helpful to you and good luck with your horse in managing the disease. Note: There are "senior" feeds made by several feed companies. While we have mentioned the familiar and original Purina senior product, the same advice would hold for not only senior feeds but any feed for a horse with laminitis: find out if your horse's laminitis is related to a metabolic condition that would suggest a low-starch feed might be a better choice.